You can find suggestions for managing stress all over the place. Yoga, meditation, deep breathing, and positive affirmations are all potent tools to use when striving to decrease your stress levels. There are also many small things you can do on a daily basis to help you relax and draw positivity into your life. Feng shui, aromatherapy, choosing great hobbies, and decluttering your space are all examples. But did you know that some people use their jewelry to increase their peace? 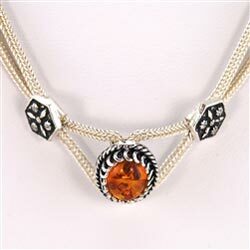 Throughout history, metaphysical properties have been attributed to various gemstones. They’ve been used in all kinds of ceremonies and traditions all around the world. Some gems are believed to have calming properties, and if a particular thing is causing you stress, like money or relationships, specific gems have been used to ease those issues. Though Western medicine doesn’t put much stock in the healing abilities of gems, there are many practitioners and individuals around the world who do. Whether or not wearing gemstones can truly improve a person’s physical or mental status, it can definitely boost your mood and help you feel good about yourself. That is enough to make a significant dent in stress sometimes; simply taking a deep breath, wearing something lovely, and enjoying the moment. 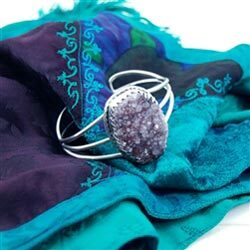 You can find beautiful gemstone jewelry and learn more about the metaphysical properties associated with each of them here: www.fashionjewelry.com.